My wife and I spent Christmas 2017 on the Big Island (Hilo side) in the small town of Volcano in a nice home owned by a friend of ours. Not your typical Hawaii place - it's in a rain forest up at an elevation of 4000 feet. A little rain nearly every day, chilly in the morning but a beautiful place. 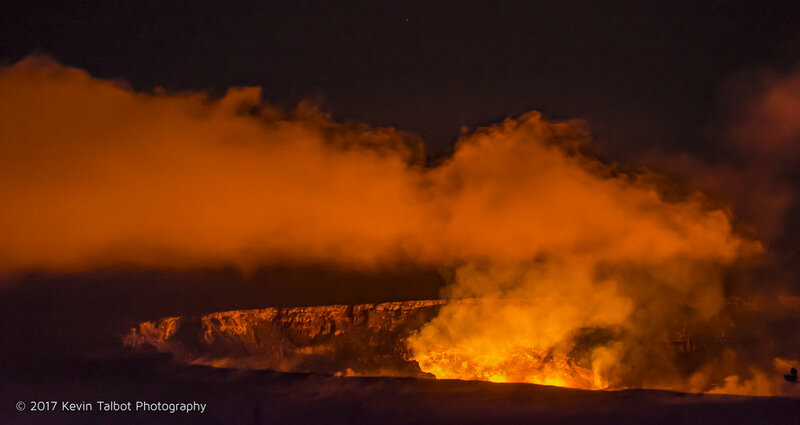 Best of all, just a 5 minute drive to the fantastic Hawaii Volcano National Park. We must have visited there 10 times. 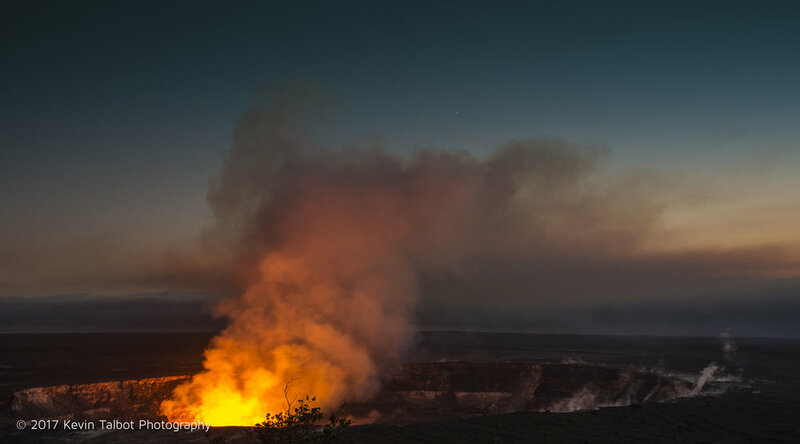 We went to the Kilauea crater at sunset a couple times for the fantastic view and once for the sunrise (brrrr!). We also drove all the way to the end of the 19 mile long "Chain of Craters" road until it ends due to a lava flow. Amazing to see all the young lava flows and the ruggedness of the area. 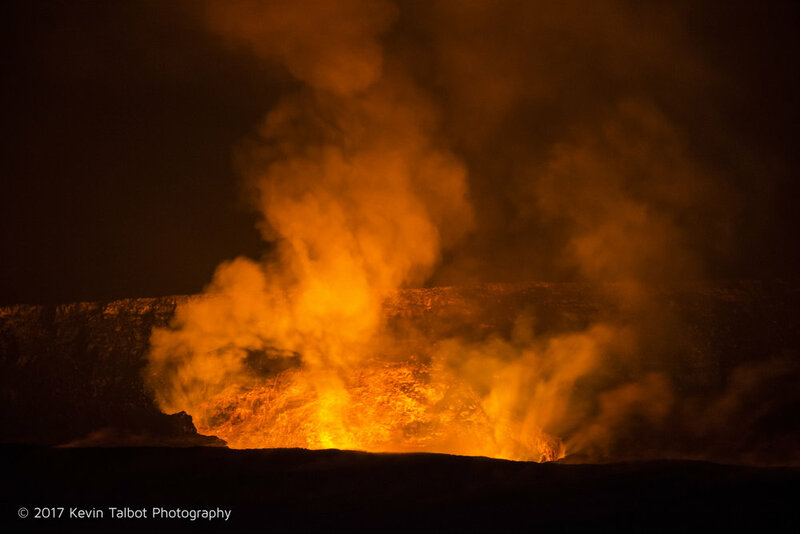 I was really surprised in the variety of lava flow shapes from crinkly, sharp a'a' lava (pronounced "ah-ah") to the smooth/flowing/twisted pahoeoe lava ("paw-hoey-hoey"). 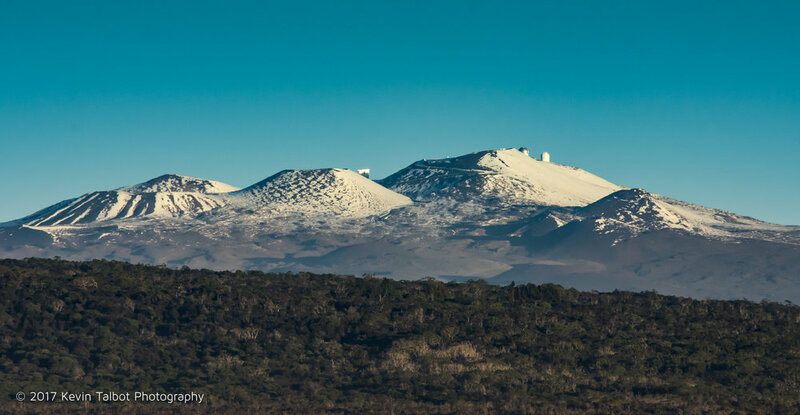 Unfortunately we did not see any "live" lava flows. 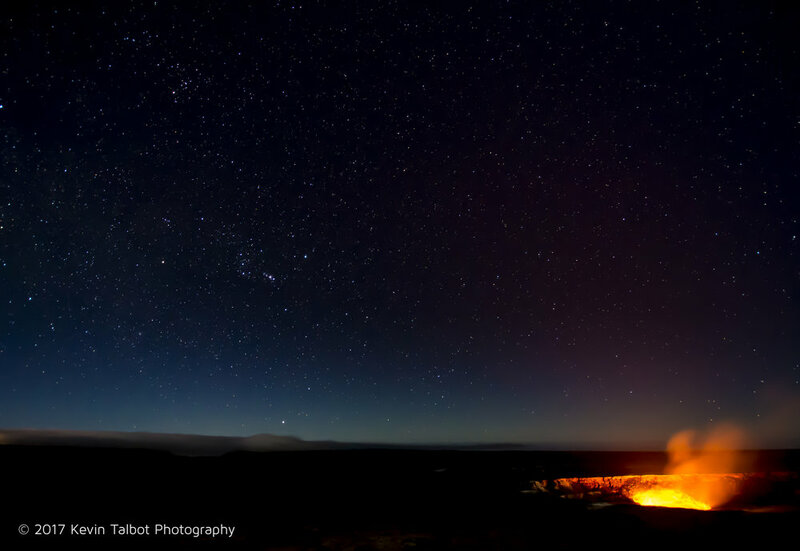 Despite Kilauea erupting continuously since January 1983 in what is called the Pu`u `O`o eruption (pronounced "poo - uh oh- oh"), Goddess Pele was taking a break over Christmas this year with very minimal flows at the end of a long hike.